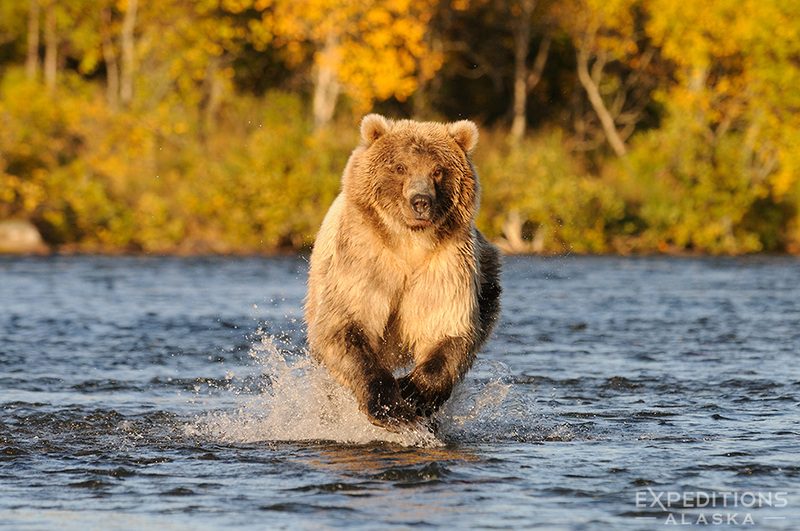 A grizzly bear (brown bear, Ursus arctos), charging up Brooks River chasing spawning Sockeye Salmon, fall colors on the forest in the background, Katmai National Park, Alaska. Welcome back! It’s been a while, indeed. Blogging isn’t my priority in the summer/fall, and now with 3 websites to keep up, and a bunch of other things to do, I let it get away. Here’s a young brown bear chasing a salmon, in Katmai National Park, Alaska. Posted on Monday, November 30th, 2015. This epic photo was taken by Carl Donohue.